Thank you to our tour guide. She is the best. Had a very good time. This trip was good. 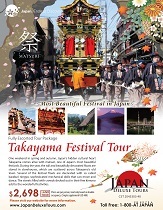 Would recommend your company for a Japan tour, especially your tour guide.